Convenient top arrangement; bonus cargo space; it’s a 911, baby! The roof, the roof! Pricey, but you can guess that much. Sketchy visibility with the top down. When we mention Porsche’s legendary 911, sensible probably isn’t one of the first words that comes to mind. But if you’ve long wanted a convertible and you live in a place where the pitter-patter of rain or the white slushy stuff comes more than just a few days a year, something a little sensible might be in order. What’s the use having a convertible — especially one of the 911’s caliber — when it’s good for only a few months of the year? That’s the premise behind the Targa, a model that’s halfway between coupe and convertible, offering open-air thrills with a full-length, slide-open glass roof instead of a loud, drafty soft top or a clunky, complicated folding-hardtop mechanism. Porsche has repositioned the Targa within the 911 lineup this time, and has equipped it more lavishly than in the past and fitted it with standard all-wheel drive. The rationale behind this is that Targa buyers are interested in driving their 911 year-round, and they’re more likely to take longer trips than their Carrera- or Convertible-buying counterparts. The Targa customer is not someone who’s looking to go out for track events, according to Porsche higher-ups, but more of a grand-touring buyer. Along with all-wheel drive, the latest Targa brings the Turbo’s wide-body look, with wider, more aggressive rear flanks that are nearly two inches wider in the back than the Carrera (rear track is over an inch wider). From the front, you see that the rear-window glass is angled out a bit, while the roofline arcs more smoothly — or maybe it’s just the effect of the new brightwork that runs continuously from the windshield to the back window. Yes, folding hardtops are a good solution, too, but they’re often finicky and almost always involve a compromised cargo area. The Targa boasts the opposite: The otherwise-almost-useless back seats can be folded forward to create approximately 25 liters more luggage space than the coupe, and the rear glass window opens as a hatch for easy cargo access. Opening the hatch is a simple, one-handed job, as it’s aided by two gas struts and released by a switch next to the driver’s seat or via a button on the keyfob. There’s no need to slam it shut; close it most of the way and a mechanism pulls it into the locked position. Psst…Sorry to kill your buzz here by mentioning offspring, but the arrangement makes it one of the easiest all-weather sports cars for taking them along. You could potentially top-load a tyke into a child seat back there, or — closer to my real-world experience — hoist a dog in without gouging seatbacks. The back seats are tiny and unthinkable for adults, but they’re about right for little ones who can still count their birthdays on their fingers. Yep, while the Targa makes a statement of tech-cool, go-fast, moneyed flamboyance, but with the all-weather traction and handling, and decent cargo space front and back, it’s…sensible. The new roof system has two layers of laminated security glass and acts as a structural member, while it’s 4.2 pounds lighter than that of the previous-generation Targa. Porsche engineers also say that noise levels from the roof have improved, especially due to the use of spring mounts. The supplier of the roof, Magna, has been involved in the design process for the latest Targa from its inception. Magna assembles the glass roof system as a complete module; it’s fitted to the rest of the car at assembly. Operation of the roof is simpler than most sunroofs. A single, center console–mounted switch controls both the infinitely adjusting, black-fabric sunscreen and the glass roof panel, which slides rather neatly underneath the rear window glass to create a 4.8-square-foot opening. When the roof is closed, the sunscreen can be adjusted infinitely to allow a little sun in or let the sun in through the entire glass area, though the glass has decent UV resistance built in to help those who’ve lost their natural protection on top. What results is an open-air experience that, with the top open, feels more like a convertible than a coupe, and with excellent wind buffeting at a wide range of speeds. When the glass top is closed, the arrangement feels every bit as tight as a coupe, with a quiet fit that’s better than many sunroof arrangements we’ve tested. What’s especially surprising is there’s no limit on how fast you can be moving when opening or closing the roof, according to engineers. Aerodynamics were obviously very carefully planned around the setup, with the roof actually pressing harder against its lower seal as speed increases. Like the Carrera, the Targa will be available in two flavors: 4 and 4S. A 325-hp, 3.6-liter version of Porsche’s water-cooled flat six is standard on the 4, while the 4S buys up to a 355-hp, 3.8-liter version. With the exception of a little more standard equipment for the 4S, including bi-xenon headlamps and the electronically controlled suspension (Porsche Active Suspension Management), the rest is basically the same between the two models. Performance numbers are comparable to those of the Carrera, with 0-62 mph times of 5.3 seconds with the 3.6-liter and 4.9 seconds with the 3.8-liter — both with the standard six-speed manual. Top speed is 174 mph with the 3.6 and 179 mph with the 3.8. As both engines are mechanically similar, it’s not surprising that there’s not a big difference in character between the two. You probably won’t feel it, back to back, in ordinary driving. Only when we were really wringing it through the gears did we notice that the 3.8 has an especially more robust upper-middle rev range; it just seems to grab the next gear and go a little more enthusiastically. The wide-body treatment isn’t just for looks; it’s also a practical choice that, engineers say, results in a better-balanced car with the standard all-wheel-drive arrangement. Suspension tuning is tweaked accordingly to match the grand touring personality, and its higher center of mass; springs are softer than on the Coupe or Cabriolet, but they’re matched with larger anti-roll bars. To also help bring balance, the tires are considerably larger in back. In the 4S, for instance, 305/30ZR-19s are in back, with 235/35ZR-19s in front. The 911’s already brilliant dynamics are only improved by the transparent but highly effective all-wheel-drive system, which uses a viscous, multi-plate-clutch center diff to bring between five and 40 percent of engine torque to the front wheels as needed. With both a Targa 4 and a 4S, we wound confidently up and down the elevations of Portugal’s low mountains, at speeds that would be unthinkable in just about any other vehicle. The stability control system feels like a partner in driving fun instead of a big brother. With the intimidating level of traction, grip, and power, you can keep it turned on and actually feel out the dynamics; it’s smartly tuned toward slight understeer, but you can change the feel easily with the throttle. The suspension tweaks give the Targa a more amiable feel on the pockmarked roads that are an everyday-driving reality. The ride is less choppy than other 911 variants, and the steering has a variable-ratio, variable-assist setup that allows quick transitions through tight switchbacks yet doesn’t feel twitchy when cruising at high speeds. Safety is enviable next to most convertibles — hardtop or softtop. The Targa has the same tubular structural reinforcements as used on the Cabriolet, which strengthen the A-pillars for better protection in a rollover. Six airbags are provided, including seat-mounted thorax airbags and door-mounted head airbags. We had one complaint with the Targa’s design, and it was only an issue with the top in its open position. Then, it obscures the lower half of the rear window, meaning that you have to rely heavily on the side mirrors — or do an annoying degree of neck-craning. Also, coarse (and rough) surfaces brought a little more road-noise boom into the cabin. Positively, though, the engine’s sonorous flat-six song is a little bit more audible than in the Carrera, which isn’t a bad thing at all. Overall, the Targa experience is quite ideal for day-to-day use, with great seats — the optional ($3355) adaptive sport seats are even better. Legroom is abundant, but those long in torso might find headroom tight. The standard sound system, with nine speakers, is worlds better than the weak systems offered in 911s in the past (a Bose Surround Sound system is available, too). The Targa is a practical, day-to-day driver that can bring the thrills of an exotic while delivering some of the conveniences of a luxury grand tourer. Sure, the ride is firm, but it’s nowhere near as punishing as high-performance cars can be. 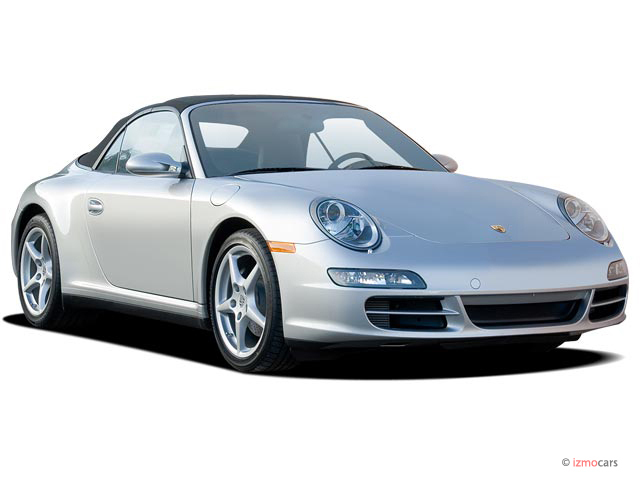 The Targa 4 starts at $85,700, while the 4S starts at $95,900, and that’s not even including destination. Check a few option boxes — like the $8020 Ceramic Composite Brakes, the $3365 full-leather interior, or the aforementioned sport seats — and the price of the S can sail well above $100,000. But as the price of the 911 is high, but that won’t deter buyers. The appeal of this car is relative; there’s nothing like it, nothing close. The 911 is already one of the best serious sports cars out there for touring; the Targa’s packaging just makes it a little bit better for those who want to drive their 911 daily, cover long distances, or really use it. If that sounds like you, and you want to have a little bit of top-down fun without the hassle for the rest of the year, then the Targa is it. This car is all you ever heard about them and more. Undescribable and amazing ride well worth the wait!! Shopped for over a year for a CPO Porsche 911. Got everything I wished for with low mileage from a Porsche dealership in Carlsbad. After driving for almost a couple of years.....only wished I would have bought... Shopped for over a year for a CPO Porsche 911. Got everything I wished for with low mileage from a Porsche dealership in Carlsbad. After driving for almost a couple of years.....only wished I would have bought this car earlier.